This book provides a comprehensive introduction by an extraordinary range of experts to the recent and rapidly developing field of learning analytics. Some of the finest current thinkers about ways to interpret and benefit from the increasing amount of evidence from learners' experiences have taken time to explain their methods, describe examples, and point out new underpinnings for the field. Together, they show how this new field has the potential to dramatically increase learner success through deeper understanding of the academic, social-emotional, motivational, identity and meta-cognitive context each learner uniquely brings. Learning analytics is much more than "analyzing learning data"-it is about deeply understanding what learning activities work well, for whom, and when. 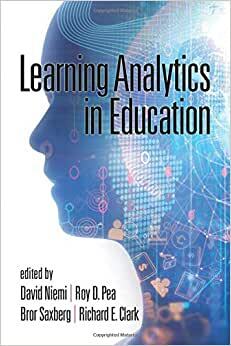 Learning Analytics in Education provides an essential framework, as well as guidance and examples, for a wide range of professionals interested in the future of learning. If you are already involved in learning analytics, or otherwise trying to use an increasing density of evidence to understand learners' progress, these leading thinkers in the field may give you new insights. If you are engaged in teaching at any level, or training future teachers/faculty for this new, increasingly technology-enhanced learning world, and want some sense of the potential opportunities (and pitfalls) of what technology can bring to your teaching and students, these forward-thinking leaders can spark your imagination. If you are involved in research around uses of technology, improving learning measurements, better ways to use evidence to improve learning, or in more deeply understanding human learning itself, you will find additional ideas and insights from some of the best thinkers in the field here. If you are involved in making administrative or policy decisions about learning, you will find new ideas (and dilemmas) coming your way from inevitable changes in how we design and deliver instruction, how we measure the outcomes, and how we provide feedback to students, teachers, developers, administrators, and policy-makers. For all these players, the trick will be to get the most out of all the new developments to efficiently and effectively improve learning performance, without getting distracted by "shiny" technologies that are disconnected from how human learning and development actually work.